Do You Have a Vision? Let us Create It! Have you been dreaming of a brand-new swimming pool filled to the brim with sparkling blue water? When you close your eyes and envision your dream swimming pool, what else do you see, feel, hear? The hearty laughs of children running around the pool? The soothing sound of a waterfall in the background in your mind as you peacefully drift away into quiet relaxation? The sight, smell, and taste of a bright-red slice of juicy watermelon right beside your sparkling pool? The benefits of owning a swimming pool are countless and can drastically range based on your lifestyle, wants and needs. Here at The Pool Doctor Contractors, we believe that we are not just adding to your home, we are adding to your lifestyle! We want to keep you smiling long after we fill up your pool for the first time. Just imagine being able to see a new swimming pool from your kitchen window. Imagine how the color of your decking will complement the color of your home. Or how the lighting from your swimming pool will affect the overall mood and feel of your backyard. The possibilities are endless, and the design team at The Pool Doctor Contractors are ready to turn your imagination into reality. 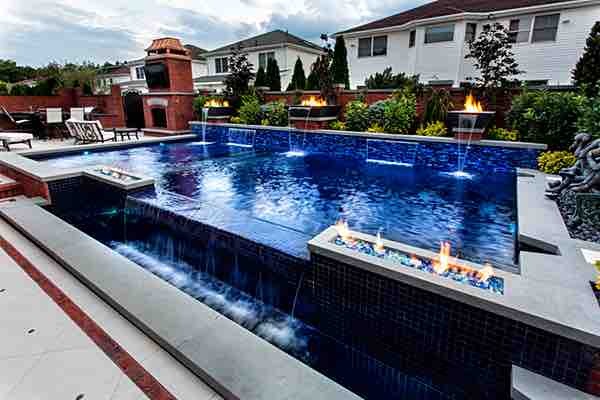 Are you ready to create that swimming pool that you have long imagined? Contact the Pool Doctor Contractors today for a free, easy quote at 718-984-POOL or use our contact form.